Last week we set up the general Google Account, this week we will set up the analytics account and link it to your website. After this is done we can start collecting data. 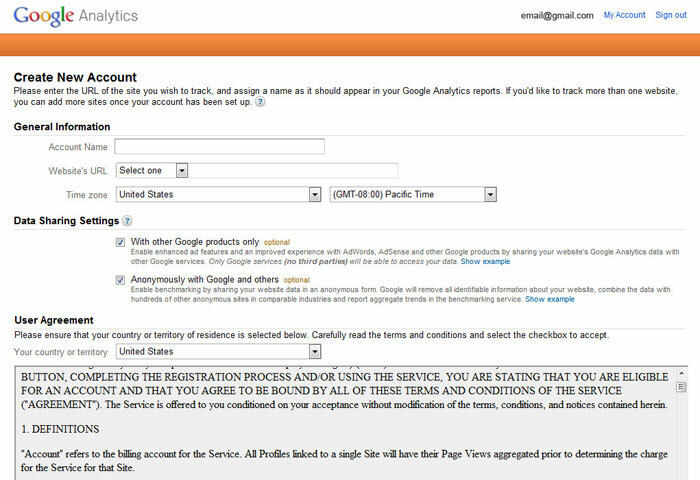 Go to http://www.google.com/analytics/ log in with the account info created in setting up the Google account and you will be taken to the analytics login page. Select Sign Up to add your first site. 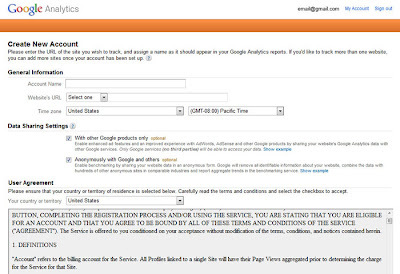 Fill in the account name, URL, time zone and check all needed boxes. When all looks good select Create Account at the bottom. 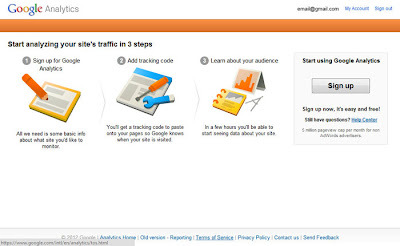 The account is set up now there is just one more step to link up your site. 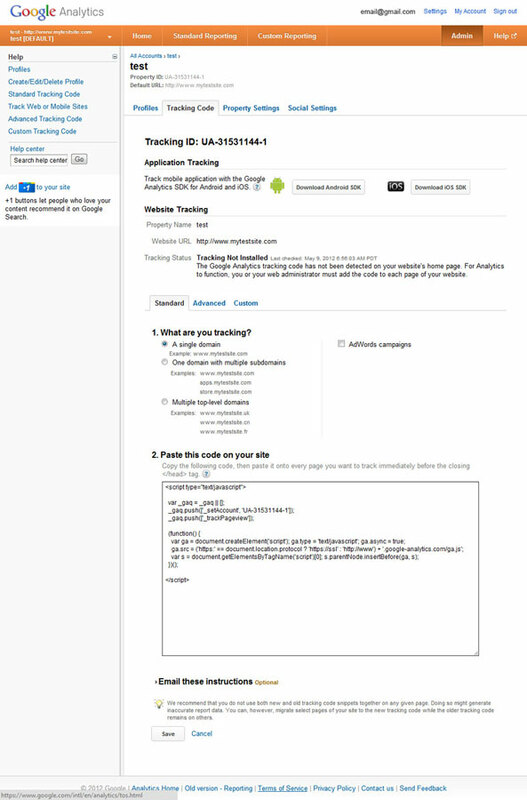 Scroll down the new account page to find the code that needs to be added to your site, this code is specific for your account. 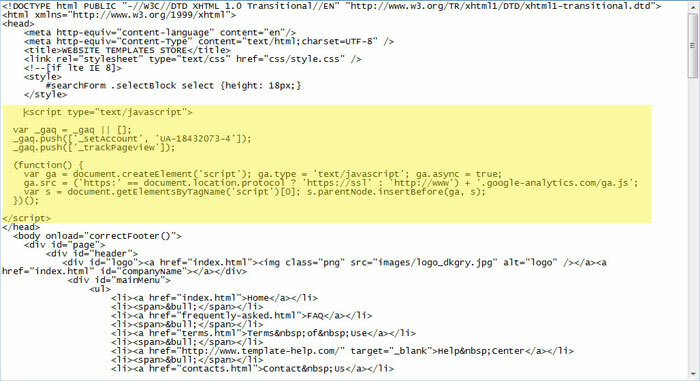 Copy everything including the <script></script> tags, this will be pasted in the code of your site. Typically this kind of code should go in between the opening and closing <head> </head> tags. Continue pasting this script in all the pages to be tracked by analytics just like we did for this one page. Finally load your edited pages on to the hosting server and you are all set to start collecting data! Next week we will look at the data we collect and get some general ideas on what we can do with it.